Every classroom is home to a teacher’s pet. And every inn is subject to a guest favorite. 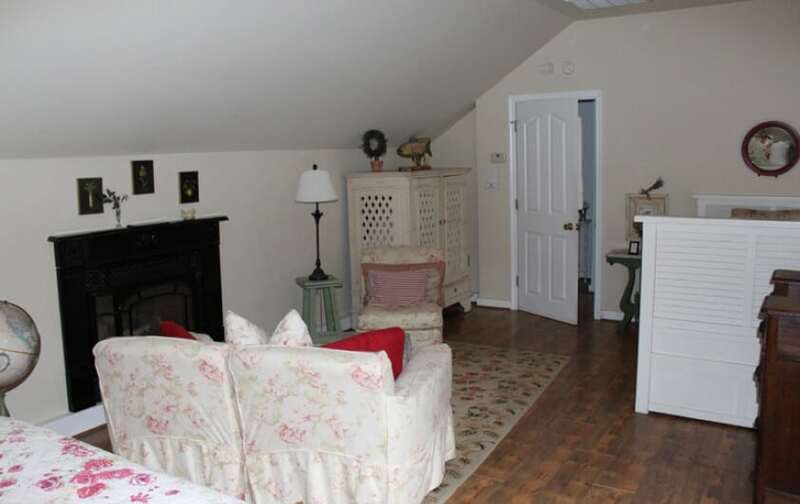 Hint: This delightful cottage at our Chesapeake Bay inn is up there. Styled by our designer to incorporate gorgeous shades of white, pink, red, and green, we’re sure you’ll love it too. Step through the doors and you’ll enter a beautiful living area, flat screen TV, and thematic furniture that’s as comfy as it looks. 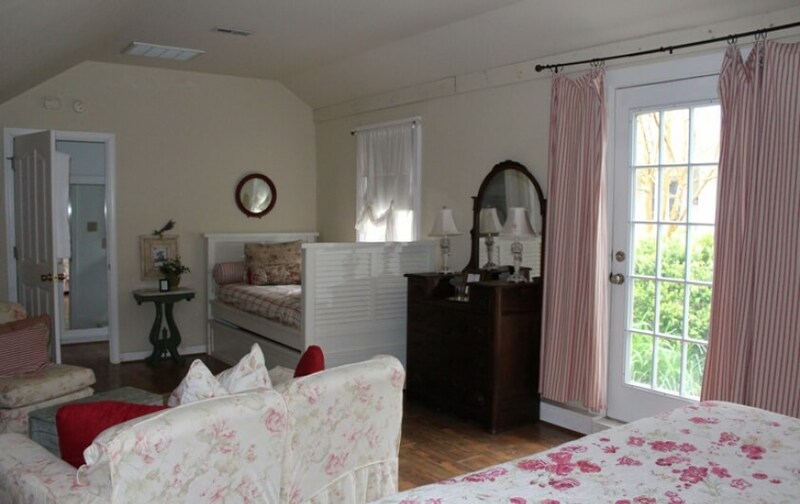 Explore the room a little further and you’ll find our premium King bedroom, dressing room, and private bath. 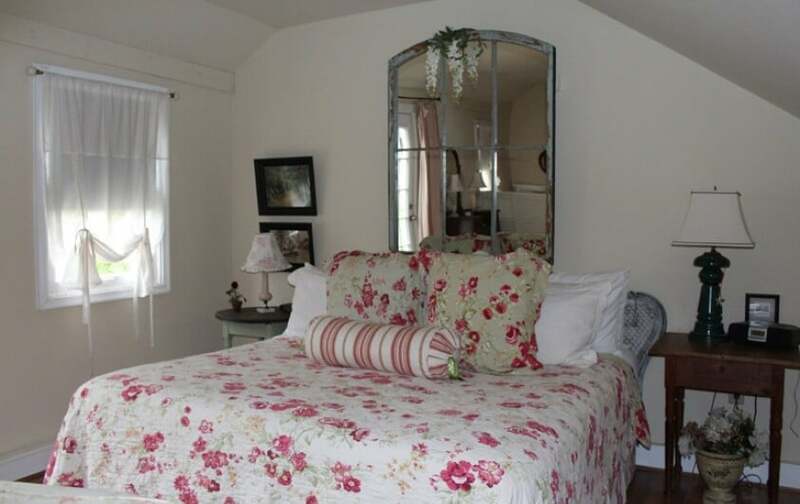 Throughout the cottage, you’ll discover luxurious amenities, including plush bedding, a beautiful headboard in a shabby chic style, Gilchrist & Soames luxury toiletries, a gorgeous patio, terry towels, and waffle bathrobes. We also have a hair dryer, iron, ironing board, fan, and a flashlight for your convenience. As comfy as this room is, we’d hate for you to miss the gourmet breakfast included with your stay so plan to tear yourself away from this room for a bit of time in the morning. You’ll also want to allow our expert staff to clean up.